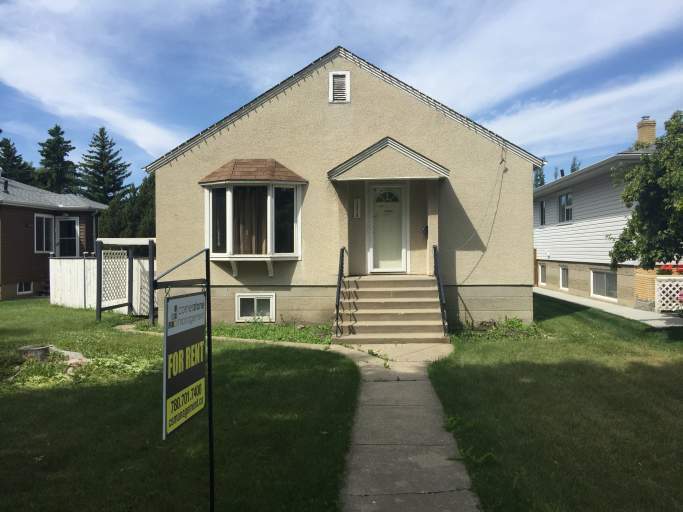 2 Bedroom Bungalow Close to NAIT and LRT! Walking Distance to LRT, Misericordia Hospital, Kingsway Mall and NAIT!!!!! WOW! The perfect location! This character home features a massive fenced backyard with a large parking pad and a huge double garage with extra storage inside! Complete with hardwood, carpet and tile flooring throughout this spacious bungalow offers a large front living room with a large bay window, a full kitchen with stove and fridge, and two large bedrooms with a full bath on the main floor. The basement, which was once its own suite, offers a large kitchen space, with fridge and sink, and a large living area plus a spacious bedroom and another full bath!! Don't miss out on this gem! Call today to book a viewing! 2 Bedroom Home Availability - 2 Bedroom Bungalow Close to NAIT and LRT!